Panelists attending the roundtable included Ms Judy Chen, Chairman of UNICEF HK (back row, left); Mrs Carrie Lam Cheng Yuet-ngor, Chief Executive of the Hong Kong Special Administrative Region (front row, center); Mrs Margaret Chan Fung Fu-chun, former Director-General of the World Health Organization (front row, third left); and Ms Irina Bokova, former Director-General of UNESCO (front row, third right). 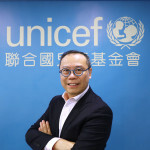 Hong Kong, 28 March 2019 ──Family-friendly policy is crucial for women in developed and developing economies to achieve a balance between participation in economic activities and supporting children to give them a good start in life, said Ms Judy Chen, Chairman of the Hong Kong Committee for UNICEF (UNICEF HK). 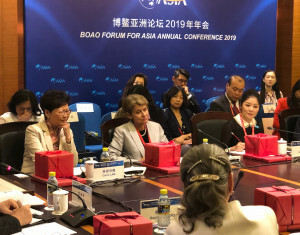 Speaking at the Women Roundtable at Boao Forum for Asia in Hainan today, Ms Chen noted that to empower women’s right to economic participation, coordinated effort should be made to enable them to fulfil their role as caregivers to their children at home. The two issues are closely interconnected, calling for a “twin policy”, which in UNICEF’s term means a policy environment that drives family-friendly practices to advance a balanced and sustainable development in society. The roundtable discussion – hosted by Madam Hailin Lyu, former President of the Women’s International Forum – centred around the theme “The Power of Women and the Value of Balance”. 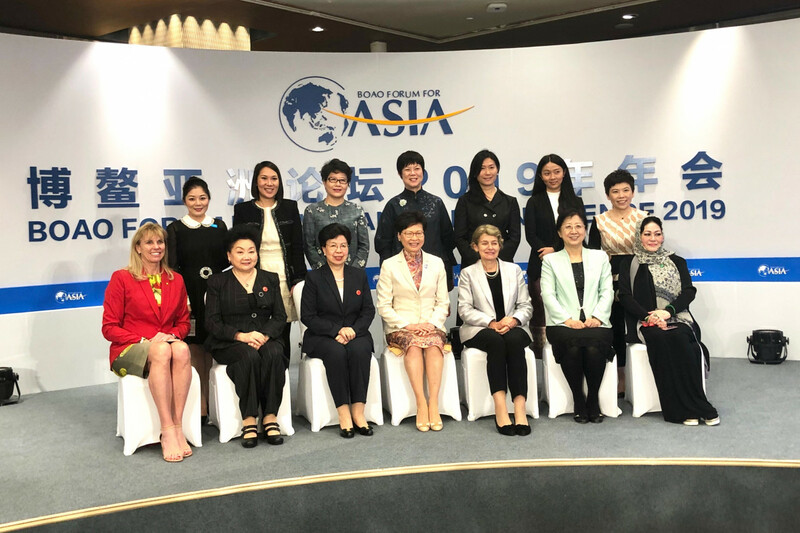 The participants also included Mrs Carrie Lam Cheng Yuet-ngor, Chief Executive of the Hong Kong Special Administrative Region; Mrs Margaret Chan Fung Fu-chun, former Director-General of the World Health Organization; and Ms Irina Bokova, former Director-General of UNESCO. Ms Chen also expressed concern about women’s economic empowerment and children’s comprehensive development. She pointed out that as society progresses and the economy develops, more attention has been paid to women’s participation in economic activities. The choices working mothers make in balancing between work and life have important implications for the wellness of their children, as working conditions of mothers and their rights in the workplace are inextricably linked to the health and well-being of their children. UNICEF HK has been actively engaging the private sector to implement family-friendly policies under its breastfeeding campaign for decades and would continue to appeal for further collaboration between the government, the private sector and the wider community to promote a suitable family-friendly environment for Hong Kong. Ms Judy Chen, Chairman of UNICEF HK(front row, right), spoke at the Women Leaders Roundtable of Boao Forum for Asia.